Harmonia is a free clever resume with a gray and light yellow sidebar, and nice slider button graphics for your skills. 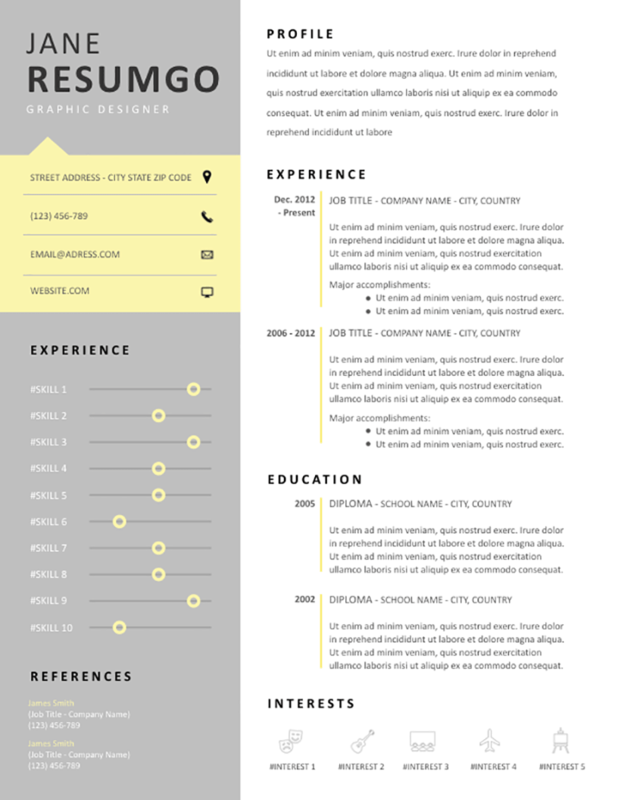 The left part of this resume is a 1/3 width, and uses a gray background. A light yellow speech bubble rectangle contains your contact information. Use the simple horizontal slider buttons to graphically represent your relative level of expertise of your ten most valuable skills. The right column focuses on the bare basics: short profile, objective statement, professional experience and education.